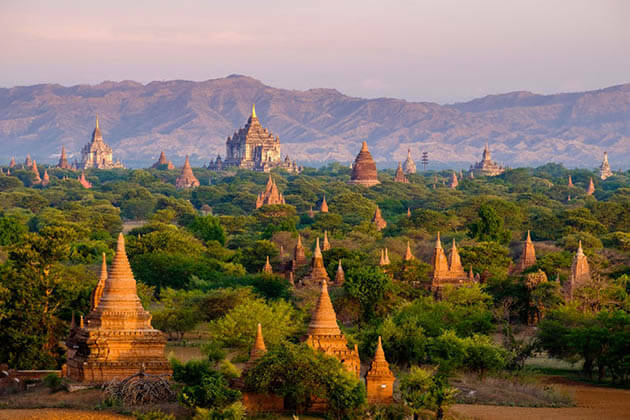 Myanmar luxury tours take you to elegant Myanmar (Burma) a relatively new destination in Asia to go deep to the fascinating cities to discover local culture with 5-star experience as well as out to the gorgeous countryside to gain authentic Burmese life with the friendly locals. 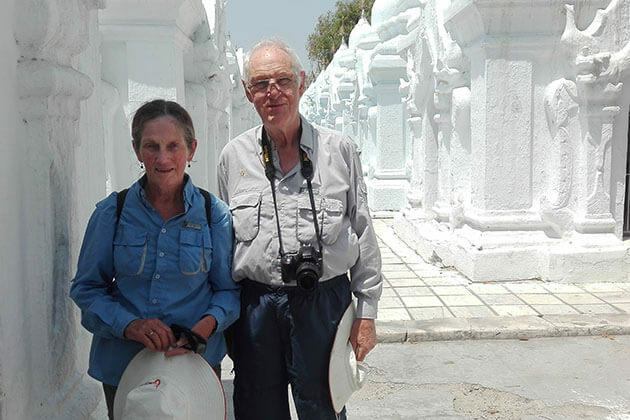 Our Myanmar luxury tour packages are specifically designed for the sophisticate whose primary aim is to experience the very best that Myanmar Tour Packages can offer. 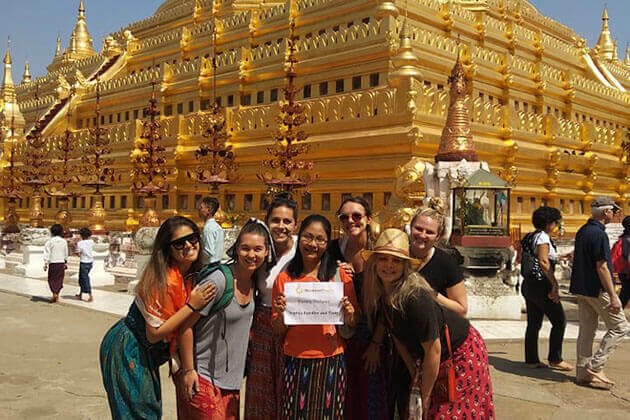 Our Myanmar luxury tours including luxury private tours, cruise ships, and travel services are aimed at providing our customers the authentic unique, timing journey, ultimate in accommodation, expert tour guides, the best restaurants, and all personalized services in every aspect for discerning visitors to Myanmar. Share our distinctive style of each Myanmar luxury private tour, a style equal to the best in the world but with its own Myanmar flavor. 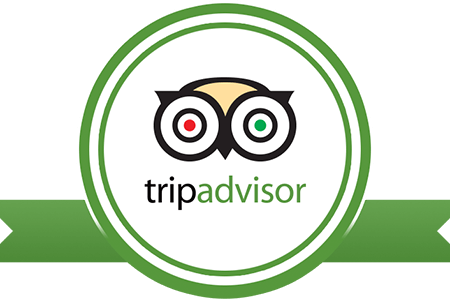 We can assure you that our service is equal to any luxury travel service in Myanmar. If you are looking for a trip of your lifetime luxury holiday to Myanmar, you have come to the right place! 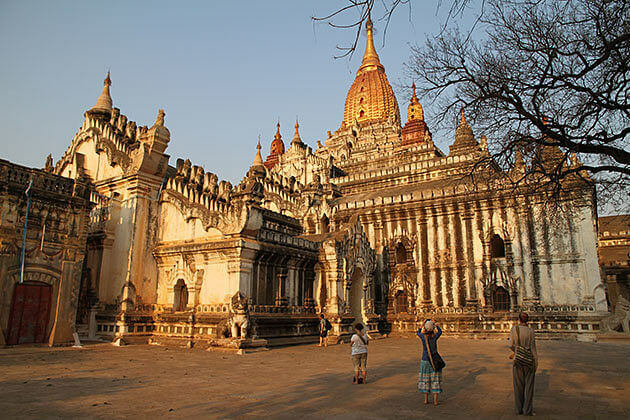 At Go Myanmar Tours, we offer a variety of Myanmar luxury tours, holiday & travel packages to save the best for you. 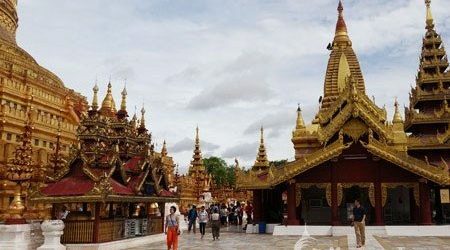 Have a look at the list of Myanmar luxury tour packages below to chose your ideal itinerary for a Burma luxury travel. 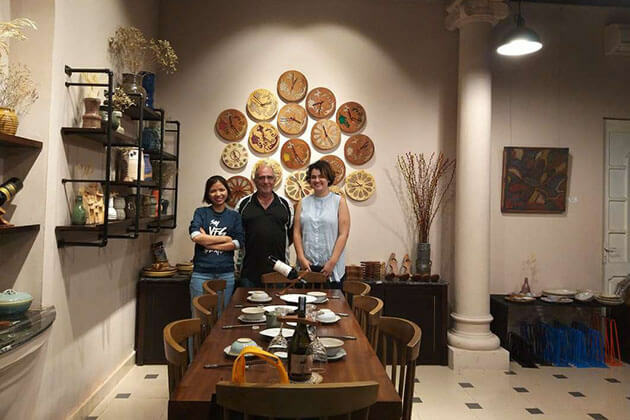 If you do not find any appropriate Myanmar luxury private holidays, please contact us to customize your own Myanmar Luxury tour to meet your demands. Just leave us your interest and let us bring you an authentic Burma luxury holiday that satisfies you most! Our travel advice for a first Myanmar luxury tour package would be to incorporate your luxury journey on a breathtaking boat trip in Inle Lake to see the real life of Intha people, to spend a luxury dinner in Yangon and enjoy authentic Burmese traditional show, to learn how to make gold leaf from the artisans in Mandalay workshops, and to float over the archeological zone of Bagan on a hot air balloon trip to blend with the sunlight and magic. Do you believe in magic? Perhaps it can be a bit tricky. 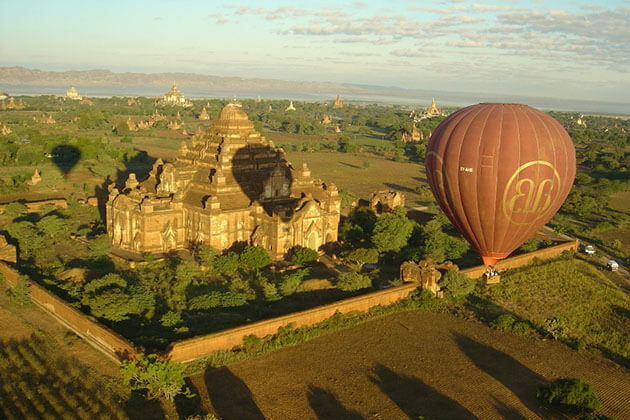 Nevertheless, it will happen as you get on a hot air balloon trip in Myanmar luxury tours package. From the balloon ride, you will discover one of the best sunrises in the world! Possessing over 2200 pagodas and temples, there is no perfect way to admire the charming of Bagan than to see it from above. 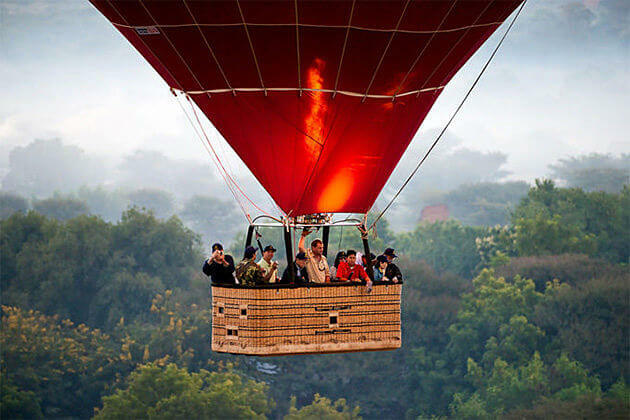 The balloon trip in Myanmar luxury tours will take place at sunrise when it’s still a bit foggy making you feel like you are flying in a wonderland of heaven. Your morning sightseeing in Myanmar luxury holiday won’t exist any sounds except the camera shutter. 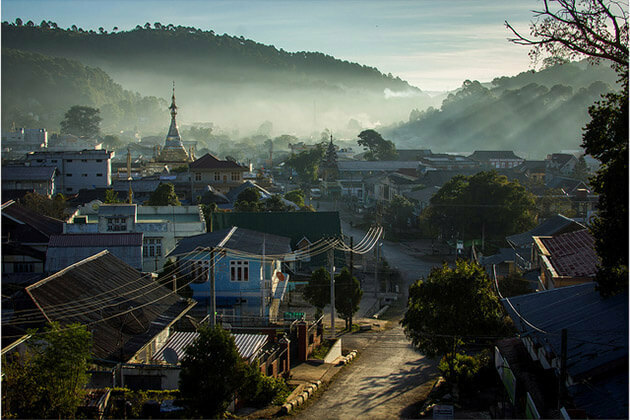 There are no cars, no exhausted fumes, just the sunlight, breeze blending harmoniously with the dust of the rural area let you truly enjoy the magical scenery in your Myanmar luxury tour packages. 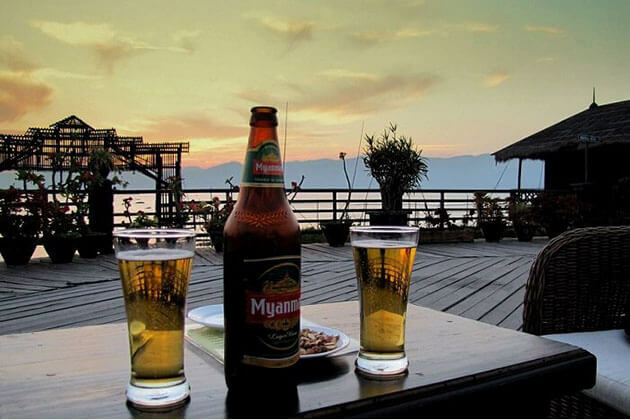 What is a better way than enjoying a peaceful scenery with a cocktail on the sundeck in your Myanmar luxury tour package? 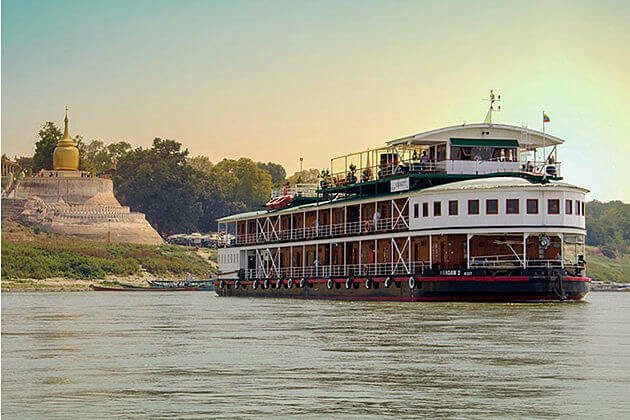 The cruise ship along the Irrawaddy river will take you through the poetic shoreline and provide you a chance to approach closer to the local life. Take this opportunity in Myanmar luxury private holiday to see farmer bathing their oxen, there, watch the kids play with the water or the fisherman rowing to catch fish. Your luxury travel on the cruise ship will include dessert and rum let you take time to relax enjoy the sunset in Myanmar luxury tours. The second largest freshwater lake in Myanmar never fail to excite tourist senses. And, embark on a breathtaking private boat trip is an interesting activity to experience in and Myanmar luxury tours. 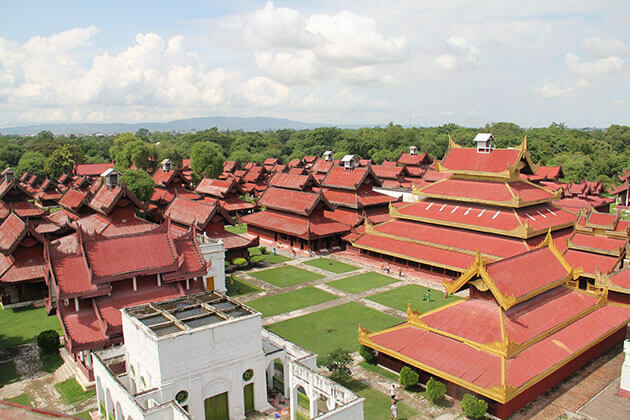 See the unique floating gardens, houses and monasteries, stop at the traditional village to explore the silk weaving and visit Phaung Daw Oo Pagoda where is the most sacred Buddhist site in Northern Shan State. 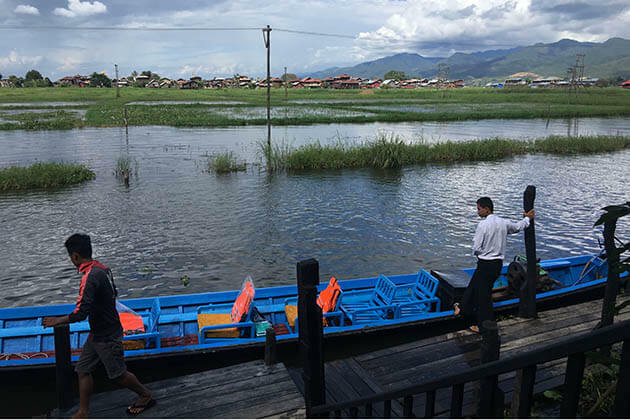 All the highlights of Inle Lake are rolled into one of our boat trip in Myanmar luxury holiday! You have been on exotic experience to discover the magnificent landscape of Burma, now it’s time for you to do something different in you Myanmar luxury tour package. 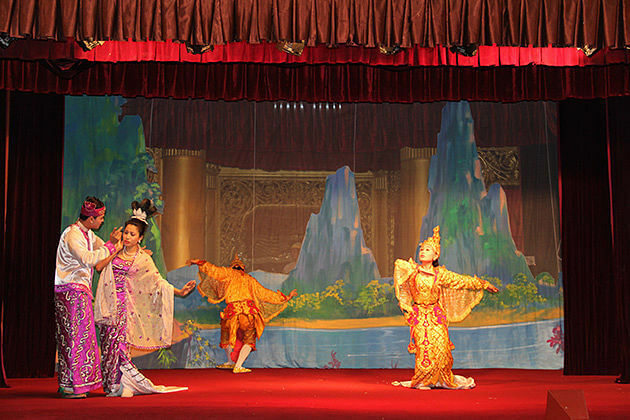 That, don’t miss your chance to get to know more about Burmese culture and cuisine as you spend your precious time to have dinner and watch interesting cultural performances in your Myanmar luxury travel package. 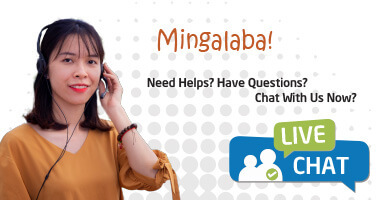 It ensures to bring you closer to Burmese people and culture! 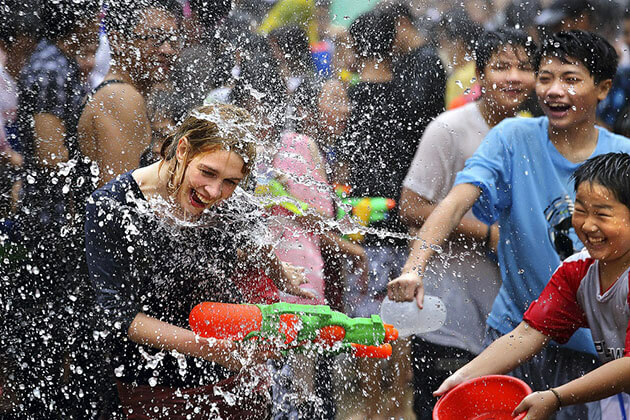 Perhaps this is the most expected experience for any visitors in Myanmar luxury travel. With its devotion to Buddhism and people’s spirituality, Shwedagon pagoda attracts many pilgrims and tourists each year. 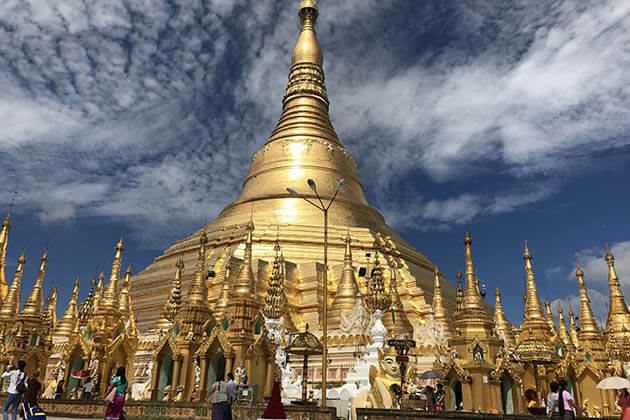 Visiting Shwedagon Pagoda in Myanmar luxury tours, you will expect to listen about the story of the famous pagoda about its legend to enshrine the Buddha’s relics. Even more, sunset view from the pagoda is considered fantastic. 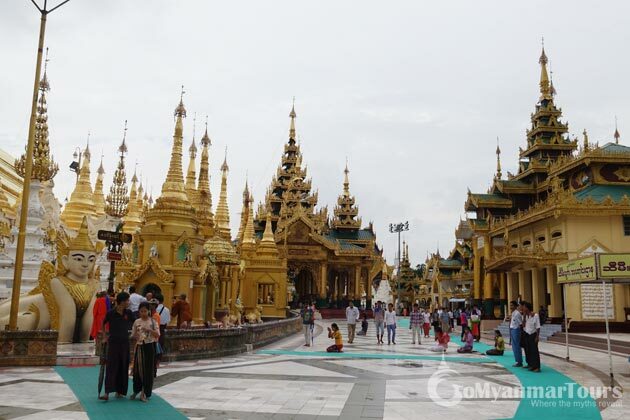 Therefore, don’t miss a chance to see it in your own Myanmar luxury tour! 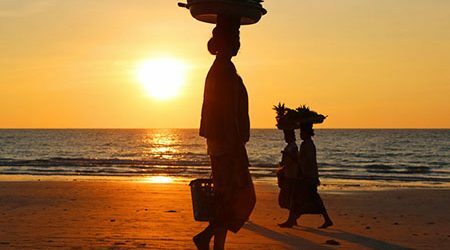 There is nothing better than rewarding yourself on a luxury resort on the seashore in Myanmar luxury tours after long days visiting countless temples. For a long time, the wonderful natural landscape of Myeik Archipelago has retained untouched and off-limits to foreign visitors. As a result, this is one of the best places for those who are looking for the tranquility in a natural paradise in Myanmar luxury tours 2019. 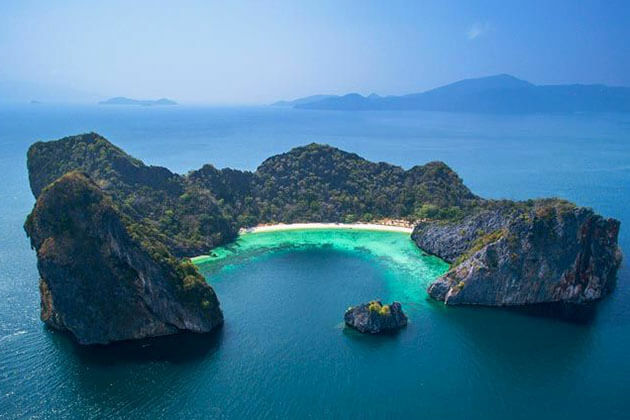 Along with the enhancing the tourism on the island to the outside world, Myeik Archipelago has welcomed to the new 5-star resort to provide luxury travelers a remarkable vacation with amenities and luxury services.